Pallas Auto Refinishing was created for owners of fine cars who share the same appreciation and wish to preserve vintage and future classics of our time. Vince, the owner of Pallas Auto Refinishing has a breadth of experience and encyclopaedic knowledge to assure all his clients and their motor cars are in excellent hands. His pride and finesses in delivering a range of bespoke packages will be difficult to find elsewhere and equally challenging to replicate. With unparalleled professionalism and care for your precious vehicle he will return to you a car easily at home on a concours. Constantly researching and selecting the finest products and best practices to preserve your car, Vince is continuously improving his methods. At Pallas, work on a limited number of cars allows a dedicated focus on each vehicle and his customer’s specific needs. This is vital for that brilliance and boutique level of service his current clients have become accustomed to, returning to him year after year with a selection of both modern and classic motor vehicles. 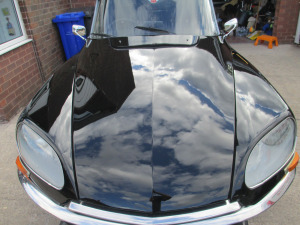 What ever your vehicle, if you cherish it and appreciate the importance of preserving such beauty with the assistance of a professional, take a look at Vince’s site on – http://pallasautorefinishing.wordpress.com and see what he can do for you.